Kansas guard Devon Dotson (11) cruises in for a bucket past Oklahoma guard Jamal Bieniemy (24) during the first half, Wednesday, Jan. 2, 2019 at Allen Fieldhouse. Tonight marks the first opportunity to see just how the Jayhawks look without Udoka Azubuike in the mix. Sure, Kansas has played five other games — and most of a sixth — without its 7-foot center. 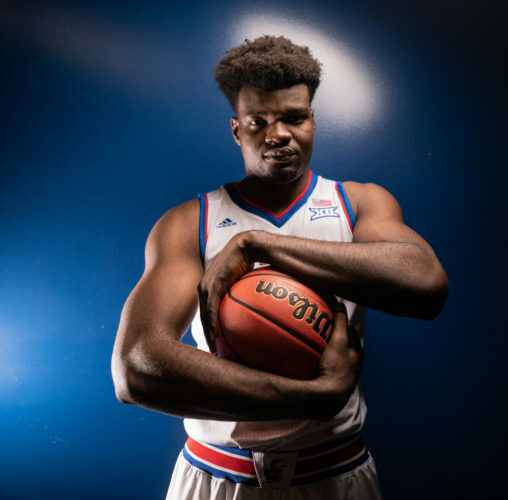 But in those games, the Jayhawks operated with the mindset that Azubuike would be back and that they were merely biding time until his return. This will be different. This time, they know he’s done for the season and it should be very interesting to see which players try to elevate their game as a result. It also will be interesting to see which of those Jayhawks who try to step up actually succeed in doing so. Replacing Azubuike will be a process. It won’t happen overnight, nor will it come down to the work of one player. 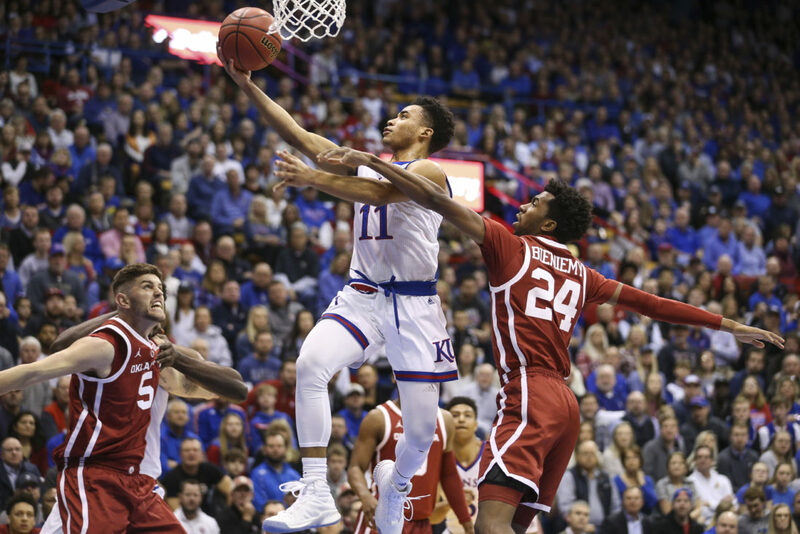 But this first opportunity will go a long way toward establishing the Jayhawks’ confidence in playing without their biggest offensive weapon. While the rest of the season figures to feature a bunch of four-guard lineups — just as it did with Azubuike out with injuries earlier this season — the Jayhawks still have a couple of capable big men in place to take some of his minutes. 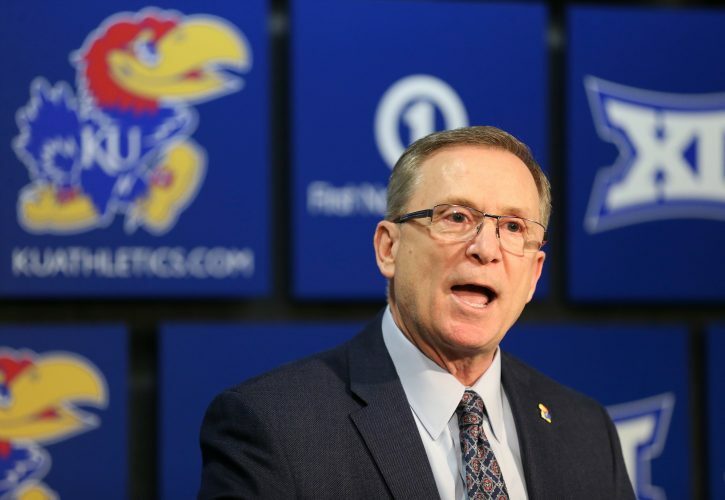 On Monday, Self said the Jayhawks still would play two bigs at times this season — adding, “We have to” — and that means that freshman David McCormack and junior Mitch Lightfoot will get a chance to play. Both have experience playing meaningful minutes in games this season, with Lightfoot holding the edge overall, both because of his age and the fact that he filled in for Azubuike when he was out of the lineup last March. With Lightfoot, that’s a little bit more of a known commodity. He’ll play hard, hit the glass and use his mind to help keep things running smoothly on both ends. With McCormack, who has settled in a little during recent weeks after a rough start, the increased playing time could be just what he needs to take the next step. Whether Self and the rest of the roster will be able to allow him to play through mistakes, therein giving him the time he needs to embrace his new role, remains to be seen. Iowa State showed the world what it can look like when a team swarms Dedric Lawson when Udoka Azubuike is not on the floor. And even though he recorded another double-double against the Cyclones, Lawson’s outing was one of his most inefficient of the season. TCU knows that and the Frogs also know that Lawson can carry a team if you let him. So expect Jamie Dixon’s team to follow at least a part of Iowa State’s blueprint by keeping a crowd around Lawson and forcing Kansas to get offense elsewhere. Normally, that would mean the solid-passing Lawson kicks it out and it’s bombs away from 3-point land. But when you combine KU’s poor 3-point shooting with the fact that TCU ranks 11th nationally and is holding opponents to just 28.1 percent shooting from 3-point range, it’s clear that the Jayhawks are going to have to find other ways to score. That could come in transition. That could come by attacking the rim off the dribble. That could come by getting to the free-throw line. And it could be a combination of all of that. But if the Jayhawks are content to try to force 3-point shots as a reaction to what’s happening with Lawson, this one could venture into the danger zone rather quickly. Fresh off a game against what Self called one of the best backcourts in the country, the Kansas guards will face another stiff test in a talented and experienced TCU backcourt at Allen Fieldhouse. Alex Robinson, Jaylen Fisher and Desmond Bane all have been around for years and have had their share of success against the Jayhawks, as well. They’ll take the experience edge into this matchup and it’ll be up to KU’s young guns Devon Dotson, Quentin Grimes, Marcus Garrett and others to show they’re up for the challenge. It’s not just their scoring prowess that makes the TCU guards dangerous. As a team, they rank fourth nationally in assist rate, at 68.1 percent, meaning their baskets come off of assists nearly 70 percent of the time. That number is led by Robinson’s individual mark of 44.5 percent, which means his team scores off an assist nearly half of the time he’s on the court. That rate ranks Robinson fourth nationally and first among major conference players. 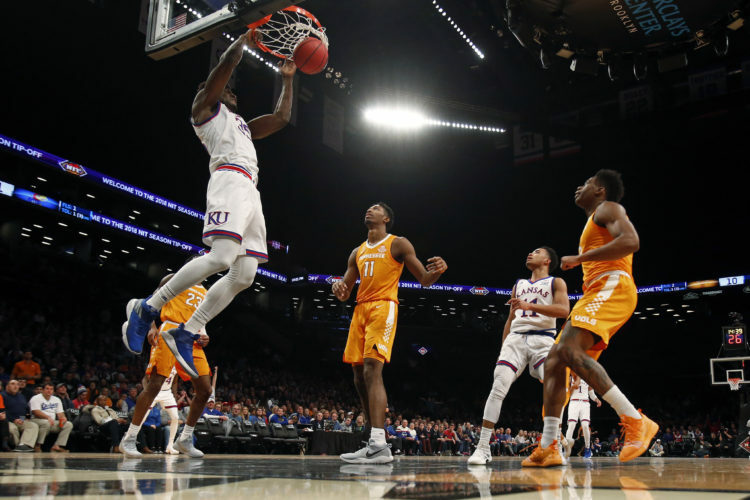 His presence, which killed KU two years ago in the quarterfinals of the Big 12 tournament, along with the fact that KU will be looking to get even more production from its guards in the wake of Azubuike’s injury, make this backcourt showdown as big as any factor in this one. Tuesday night, during his “Hawk Talk” radio show, Self said freshman guard Ochai Agbaji, who had planned to redshirt, would play vs. TCU and moving forward, adding another layer of intrigue to the backcourt battle. 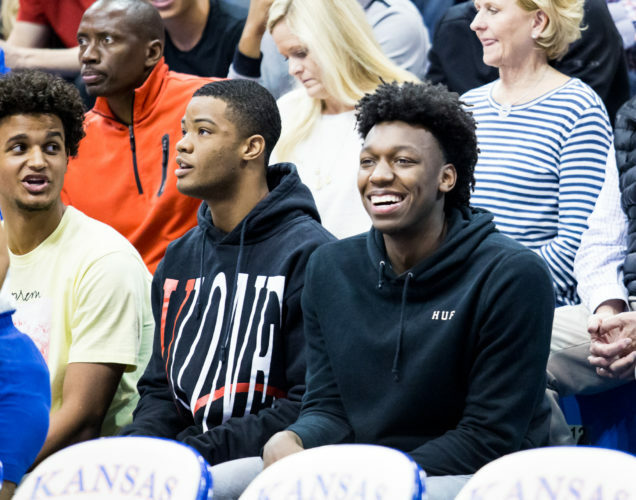 Last weekend delivered a tough 24 hours for the Kansas basketball program, which took a beating at Iowa State last Saturday night and followed it up by learning about the season-ending injury suffered by Azubuike the following day. 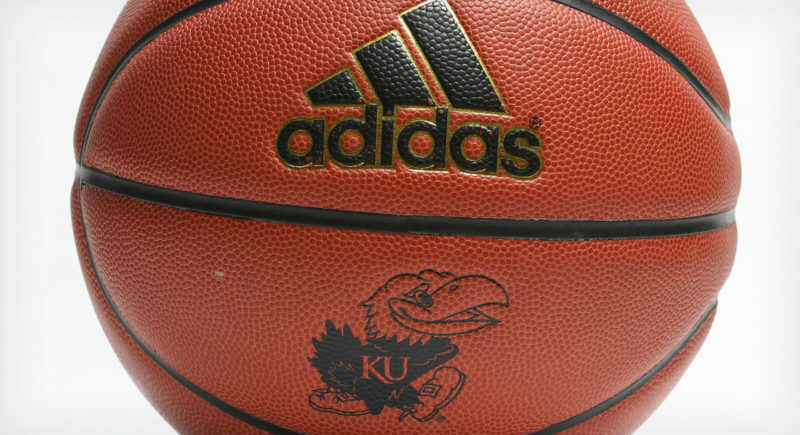 The Jayhawks’ reward for getting through that? Another matchup with a Top 25 just a few days later. While any Big 12 battle — home or away — is a big deal this time of year, the fact that the Horned Frogs come to Lawrence with just one loss and a ton of experience make this one just a little bigger because it has the chance to set the tone for the type of team KU will be without Azubuike. It also gives Kansas a fairly quick opportunity to put that 17-point road loss to Iowa State in the rearview mirror. Asked this week about the mentality of the team in the days after the loss to the Cyclones, McCormack needed just two words to answer. As for Self’s take, that had much more to do with the Jayhawks living in the reality of the moment. Kansas leads the all-time series with TCU, 16-2, including a 12-2 mark with both being members of the Big 12 Conference. “It’s the worst team Kansas has ever put on the floor since Dr. Naismith was here,” Self said that night. “I think he had some bad teams when he lost to Topeka YMCA in his first couple years. The Jayhawks have won 12 of 13 games against TCU since that 2013 loss and are considered 6-point favorites in Las Vegas. F – Jaylen Fisher, 6-2, 195, Jr.